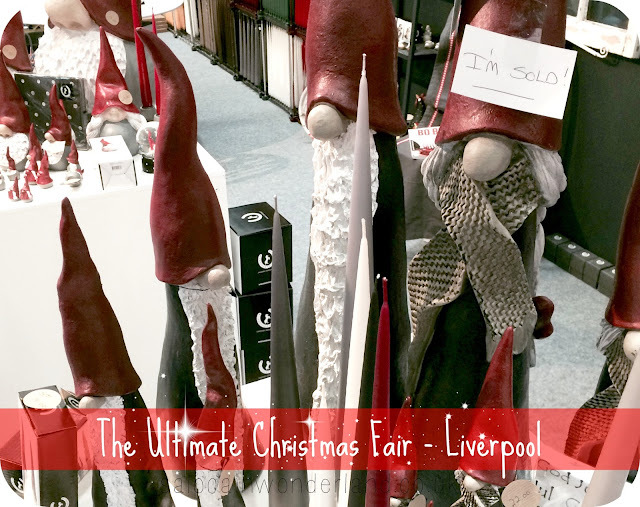 This weekend sees the Exhibition Centre Liverpool play host to the Ultimate Christmas Fair. If you’re looking to get your festive on and find some amazing and unique Christmas gifts for even the hardest to shop for, it’s all under one tinsel sparkling roof. From foodie delights to spa skincare, fabulous fashion, jewellery, pet accessories and more candles than you can shake a wick at and more! I was lucky enough to go down last night for their opening day and Fashion & Fizz late night shopping event. 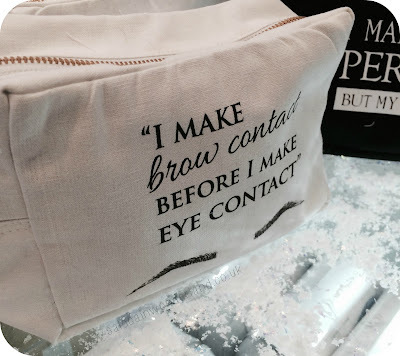 The centre was open until 9 pm, with make-up master classes from MelVic Makeup, Christmas fashion collections from Mark Melia, hair tips and tricks with Vidal Sassoon and more, ensuring you have all the tips, tricks and accessories to get you through the coming party season. 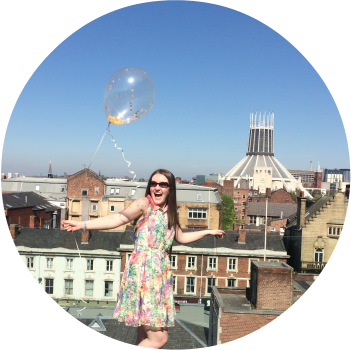 Hannah and I popped down after work and got ready to get our fill of the festive fun! With close to 200 stalls throughout the exhibition centre, it’s hard to know where to start! From artisans to handcrafted Christmas decorations, interiors inspirations and more it was all a little overwhelming! The evening was actually pretty quiet which was great for us - no rushing or pushing, we could take our time and have a really good chin wag with the brands - I learnt so much about olive oils, trendy pet poop bags, and didn’t have to fight over a single food or beverage sample - and believe me we certainly had our fill of those - Christmas shopping is hard work even before you buy anything! A few brands that really stood out to me and I think you should all stop by and check out this weekend included; The Olive Shop, I had a lovely chat with John (who will be hosting some talks over the weekend too!) about the olive oils, where they came from, what they were made from etc, be sure to try the balsamic and honey, it was delicious! ILA Organic Skincare really caught my eye too with their rose and geranium body butter. Everything they have starts with an essential oil base and it’s all about relaxing you and bringing you right back to a calming zen point, then reinvigorating your senses with luxury lotions. Pana Chocolate had, what was hands down, the best Turkish delight chocolate that I have ever had the pleasure of putting into my mouth. Seriously. Raw, organic, vegan, homemade, soy free, dairy free and no added sugar, and delicious! The Old Irish Creamery had some weird and wonderful flavours on offer - our favourites had to be the curry cheese, the chilli cheese and the garlic cheese - don’t knock em’ till you’ve tried em’! The even had a chocolate cheese that I couldn’t stop munching on! Curious Tea have quite possible answers all my tea loving prayers by showcasing not only delightful teas but by offering a very affordable tea subscription service too! (Pssst! get 25% off your first order with the code FESTIVAL25 too!). Scaramouche + Fandango not only have the best name (say that three times fast!) but they offer a fantastic male grooming line that seriously had me swooning, I have a feeling the Mr might find a few of their face scrubs and moisturisers under the tree this year! 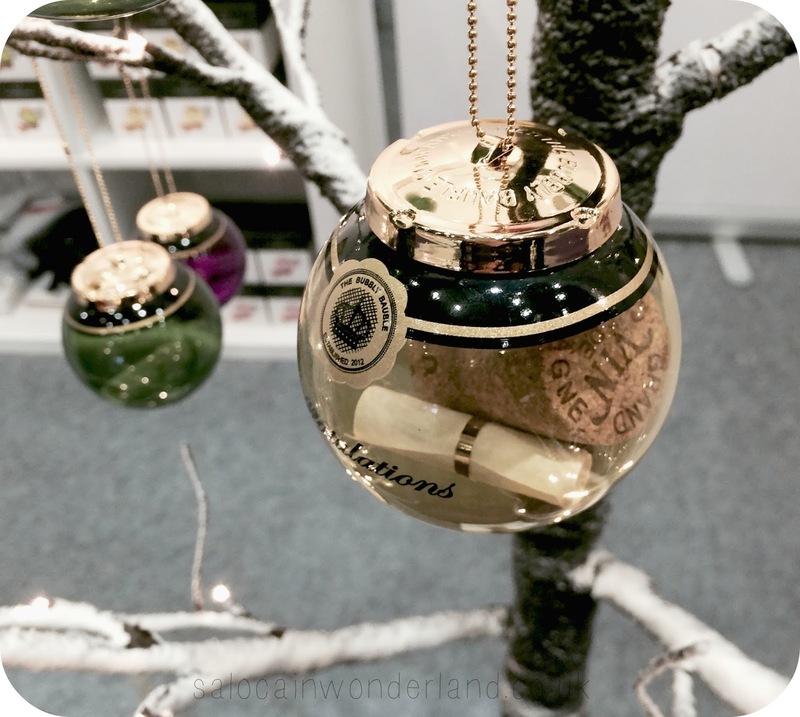 The Bubbly Bauble is the most ingenious and unusual idea for a gift I have ever seen and I love it. The idea being you keep a champagne cork from a special occasion in the hand blow glass bauble and use it as a sideboard or Christmas tree decoration. They look so pretty and are perfect memory-making gifts! Punjaban introduced me to some delicious curries that I had to bring home and cook for myself. Full of flavour but with none of the thigh expanding fats from regular jar curry. I had a one on one Gin tasting session with Warner Edwards Distillery - the highlight of my evening if I’m honest! I was talking through their extensive brewing process and shown their handcrafted elixir. I got a cheeky taster of four of their gin's and couldn’t leave without taking at least one bottle home with me! We managed to catch one of the Mark Melia Christmas fashion shows too and oh me oh my did we squeal over some of the very pretty dresses! I picked out at a few that I think would be perfect for the coming party season! There were several street food carts set up, cocktail and coffee stands too, as well as a Laurent-Perrier Champagne bar! Perfect for this mid-shopping breaks! The only disappointment to the whole evening was vendors started to shut up shop before 8 pm - and with an hour of shopping still to do I was disappointed that I couldn’t go back and pick up some things I’d eyed earlier on! It had been a long day for the vendors and it was a quiet evening so it’s understandable - but I had my eye on so many goodies! The Ultimate Christmas Fair will run 26th - 29th November, tickets are still available and on sale here. So grab your purse, done your favourite Christmas jumpers and get ready to pick up some amazing gifts for friends and family this year! Throughout the days, there will be several workshops, including Christmas wreath making, gift wrapping masterclasses, festive menu ideas with Alan Murchison, tea workshops, and more! You could certainly fill a weekend with nothing but Christmassy goodness that’s for sure! Did you enjoy the fair? A part of me really wishes I went back over the weekend to pick up some of the things I couldn't get at the end of the night! Isn't it fantastic! I can't believe I've never seen something like it before! I've seen cork keeps but never something this pretty! This gets me so excited for the holidays, they're right around the corner! They're so close I can smell the tinsel! Looks lovely. Would love it if you could check out my extended Black Friday blog sale! It was such a fantastic night, I love conventions like this! Everything about Christmas just puts a smile on my face!